With: Lynn Applegate, Laura Bassett, and Steve Whinihan, followed by a surprise group for singalong fun! If you’re not able to join us but wish to pledge your support for future maritime music programs you can donate directly through Paypal here. 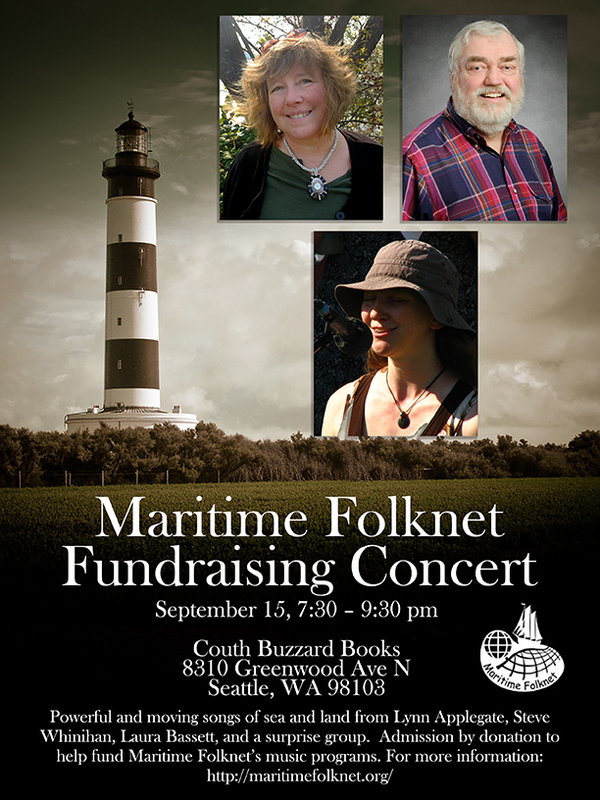 Maritime Folknet is a federal 501(c)3 non-profit organization dedicated to preserving maritime culture and history, and encouraging people to explore and participate in that culture and history. We do this primarily through the music that highlights our boats and the people who work them, especially in the Pacific Northwest. We create programs and events that celebrate our maritime heritage, educate the public, and advocate preserving it. We collaborate with other organizations and individuals to bring these programs to the public. We are funded by memberships, public grants, and private donations. This entry was posted in Events by Helen Gilbert. Bookmark the permalink.